Goats on the Road Posts » More Travel Jobs » Become a Thai Yoga Masseuse and Earn Money For Travel! I had to make a choice. The guy I loved lived in India, and I was a nurse in the U.S. I decided to quit my job and look for new opportunities. What I ended up doing has freed up my time and been able to keep me traveling! I became a Thai Yoga Masseuse in India. What is a Thai Yoga Masseuse? They don’t call it the “lazy man’s yoga” for no reason. It really is a lot like physical therapy. My clients come in fully clothed for a yoga class and lie on a yoga mat. I twist, crack, push, and pull until they are limber and woozy. If you’ve had a Thai massage, it’s quite similar but with more “yoga” moves and reflexology aka pressure points. There is also a little Reiki involved. Why Did I Choose Thai Yoga Massage? I sort of hate touching people! Everyone is shocked I picked massage. I think of it more as a health-oriented massage. People are fully clothed and tell me what hurts. I also make sure hands and feet are washed before the massage starts. Sometimes I teach a few stretches they can do at home as well. Most people are new to this type of massage in India, as Ayurveda is the big contender. Once they have a massage from me, they are hooked! It’s great to get return customers. I actually get a great work out during massage. If I’m putting the client’s knee to their chest, I’m doing a lunge in order to do so. When I’m pressing on their back, I’m doing a squat. By the end, I’m super sore but it feels great. I have hours of work that I choose and people can either come to me, or I can go to them and get views like the picture below while I massage. I have fliers with my information and take customers as I see fit. Most are on vacation and have pretty open time tables so it works out nicely. I can further my career by more advertising once I’m ready and have more time, and I can also expand by hiring more people or opening an actual shop. The money I make is on par with what masseuses make in the U.S. although my certification won’t carry over. If I can do about 1 or 2 massages a week I am ok for living in India. I charge 2,000 rupees ($33.75) for a 60 minute massage and 3,000 ($55) for a 90 minute massage. We can show you so many other travel jobs and online jobs! 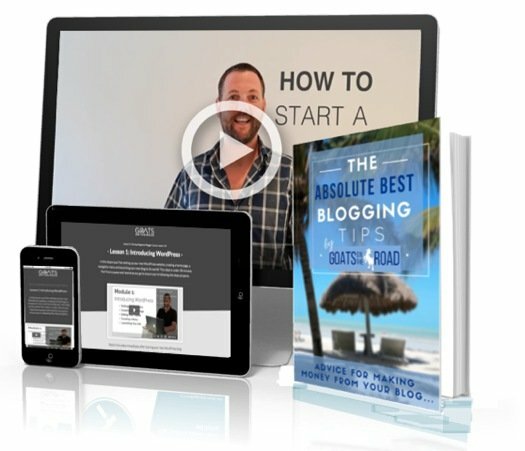 Don’t miss the in-depth guides below to help you earn money online, on the road or on the side so that you can travel longer! How Can You Become a Thai Yoga Masseuse? There are options for this all over India and Thailand. Some are called only “Thai Masseuse” but will be similar. You can choose any type of massage, but Ayurveda is more popular. Because I got certified in the mountains of McLeod Ganj (near Dharamsala) during the off-season, it only took me a week. Although during peak season it will take longer. I paid 5,000 rupees ($85) for my certification. I got an off-season special on the price. 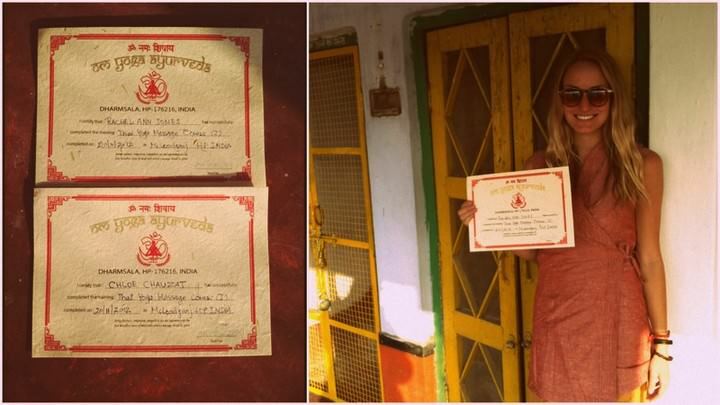 When you choose to travel to India, or if you want to get certified in your own country, make sure the teacher who trains you has a legitimate resume. You’ll want to learn accurately or you’ll never get return customers or happy clients. You also won’t be comfortable giving a massage on your own. To work in a spa, you would need a few certifications for many types of massage, which is why I only work from home. 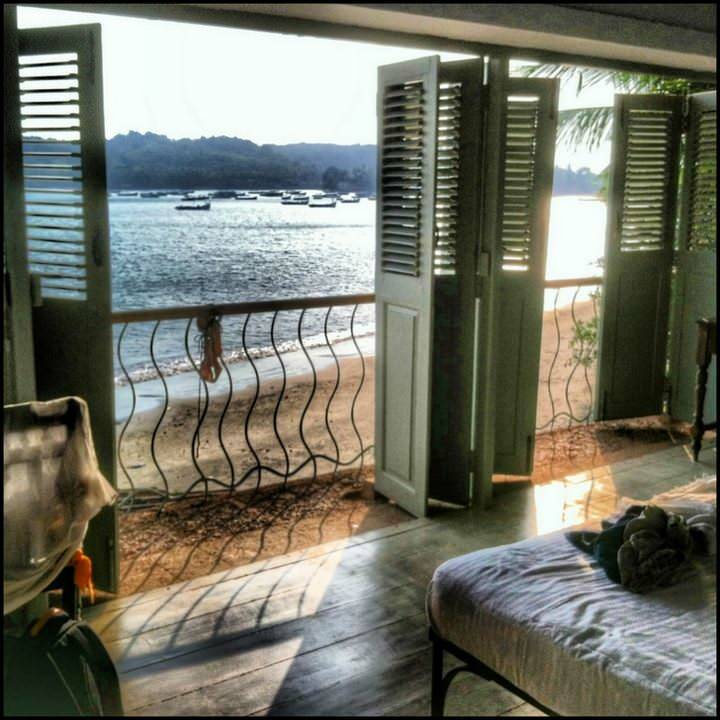 If you know anyone coming to North Goa, send them my way, wink wink. I was nervous to give up my job as a nurse but the perks of working as a masseuse are amazing. I have been so busy with my blog, I haven’t taken the massage as far as I want but plan on stepping up my game this monsoon, posting more fliers than just in 2 restaurants. If you want a new job, massage might be right for you! 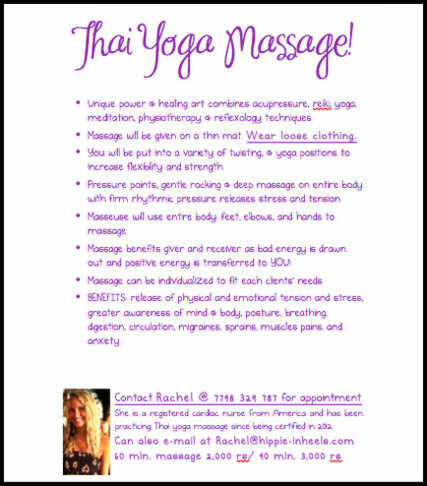 Have you ever heard of Thai Yoga Massage?! Think it’s a great way to make money abroad? Share with us below. I love Rachel she’s so inspiring! I’m a certified masseuse both in Ayurveda and Thai massage by two of the best schools in India and Thailand respectively, but I’ve never used it, which is a shame. Definitely! That’s such an amazing skill that you have, you should totally put it to use…either on the side when you’re being an Au Pair, or, in between jobs. It sounds like there’s so much freedom in this profession and you could work for yourself! Anywhere I can make money and travel, I’m on board. Where do I sign? Any way that we can learn to make money on the road sounds good to us too 🙂 Hopefully you guys can get into it in India, that would be great. Cheers and thank you for commenting! I love this! After I become a certified yoga teacher, I’m hoping to become a certified thai masseuse as well to sort of round it out 🙂 We’ll see what happens, but great to see other people doing it so successfully! Rachel- I never knew you did this! So cool! I think it’s great to get all of the overseas “money making methods” out into the open to inspire others! 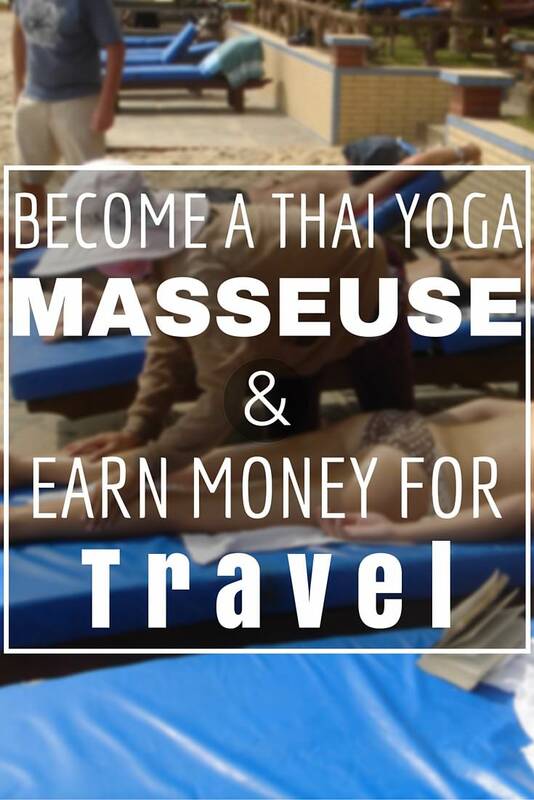 Thai massage (or any massage) is a fantastic means of earning some coin, and being mobile opens a world of options (just like yoga or personal training)! I did an Intro to Remedial massage a few years ago (in Aus) which I loved, but am not officially qualified. It’s costs an absolute bomb out here! 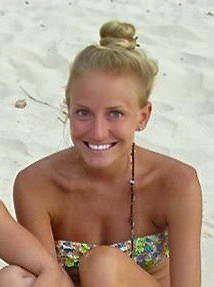 Learning in countries like India, Bali, Thailand is the way to go as there are so many alternative options. I especially enjoy the feeling after giving a massage – it feels good! (which might sound weird)! haha, thanks for the comment Anna! I’m planning to visit India in October or November 2015. I’m planning to follow your advice and visit mcleod to take thai yoga massage classes. Let me know what other things I can do there cause I’ll be going alone. Wow. I’m new to know about This “lazy man’s yoga”, But it sounds good for the therapeutic purpose and it’s relatively cheaper in respect to yoga teacher training. Great going Rachel and thanks to Nick & Dariece. I’m making a new blog exclusively for Yoga teacher training aspirants hope you visit my blog. 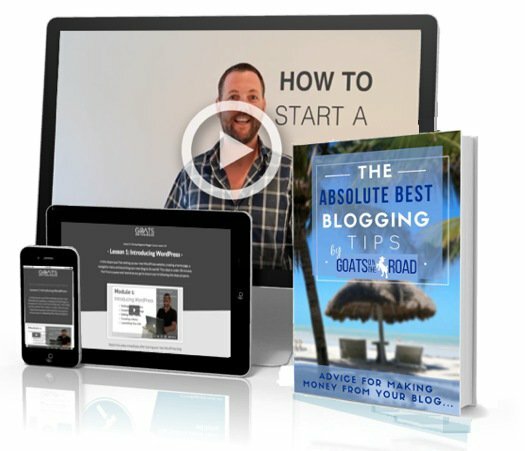 This is great, thanks for sharing, great ideia on how to make money on the road.